Some people seem to think it is fashionable to lug around the kitchen sink and a range simply to warm a couple of evening snacks, so you see people all the time with a food prep setup which weighs maybe a kg – or more. The empty canisters of such systems typically weigh more than my ultralight pot and Caldera Cone system together – and I need carry no fuel! 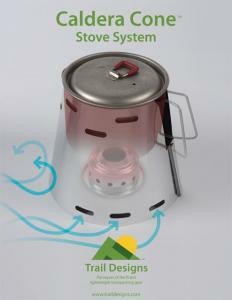 Evernew deep pot with frypan lid = 123 grams plus Caldera Cone and two titanium tent pegs @ 44 grams = 167 grams. 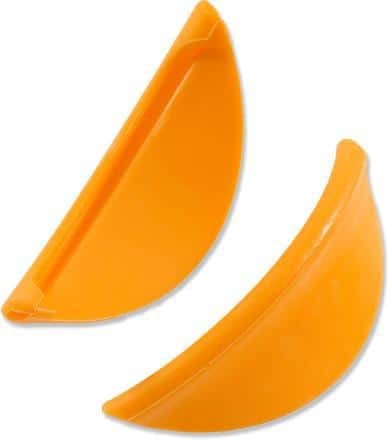 I think people need to seriously reprise their cooking/cookset options. The lightest fuel option is a wood burner, followed by an Esbit, followed by metho (for short trips) with canisters coming a poor last. I carry a few bits of esbit as fire starters, a small metho stove and some metho for lazy meals and for long simmers which can be tedious with a wood burner. You can balance a pot on three tent pegs (a variation of the three stone fire), the triangular ones work best, but you are quite likely to lose your meal if you aren’t very careful. You do learn to be more careful. 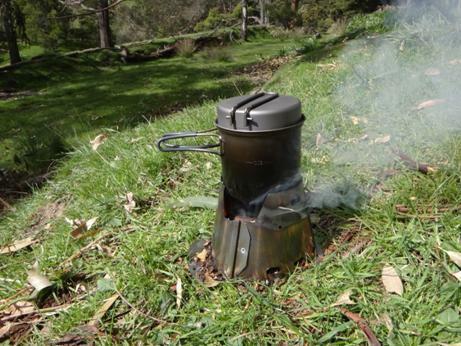 I progressed to the Bushbuddy stove http://bushbuddy.ca/indexs.html which I still think is great at about 150 grams and C$120. It burns cleanly, without scarring the earth or the danger of starting a bushfire. 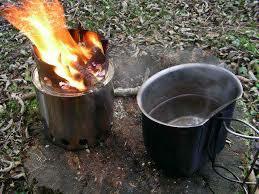 You only need a handful of dry twigs to boil a billy of water. These can even be found in Fiordland most times! 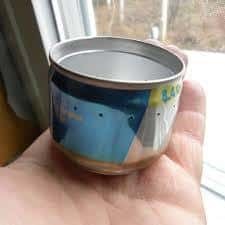 My favourite for an alcohol stove is the Brasslite http://brasslite.com/products/brasslite-turbo-i-d-backpacking-stove/ which weighs 47 grams, because you can simmer/fry with it – so important if you plan to catch fish. 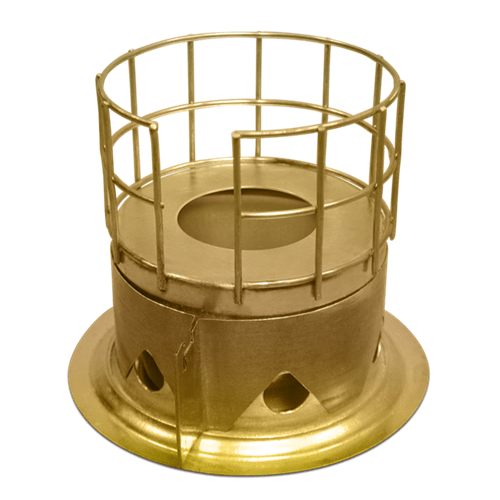 If you want a simple boiler, either make your own (eg the Supercat http://www.theultralighthiker.com/supercat-hiking-stove/ or Garlington http://www.theultralighthiker.com/diy-side-burner-metho-stove/ or http://www.theultralighthiker.com/soda-can-stove/ ) or maybe buy one from Minibull Designs https://www.minibulldesign.com/productcart/pc/viewPrd.asp?idproduct=195&idcategory=2 (I have used their Elite @ 7 grams for many years) or get one with your Caldera Cone from Trail Designs (above) – theirs also have simmer rings.